China-developed commercial airliner C919 has edged a step closer to takeoff after the plane's developers put it through a high-speed taxi test on Sunday morning at Shanghai Pudong International Airport. The test started at 8:00 am and lasted for three hours. The plane reached a top speed of approximately 248 kilometers per hour, approaching the speed required for takeoff and landing. 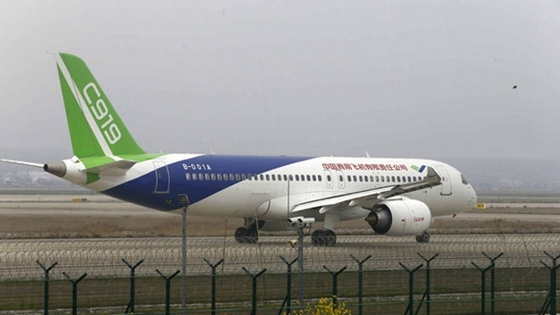 C919's developer, the Commercial Aircraft Corporation of China (COMAC), is expected to launch a test flight of the aircraft in the first half of this year. The C919, designed to accommodate over 150 passengers, is a narrow-body plane. Its main rivals on the market will include Airbus 320 and Boeing 737. The COMAC also plans to start developing wide-body aircraft in 2017.